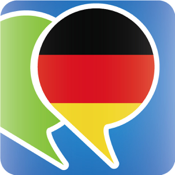 Over 3500 German Words and Phrases. One of the most comprehensive phrasebooks available. Are you planning a trip to Germany? Are you living in the country? 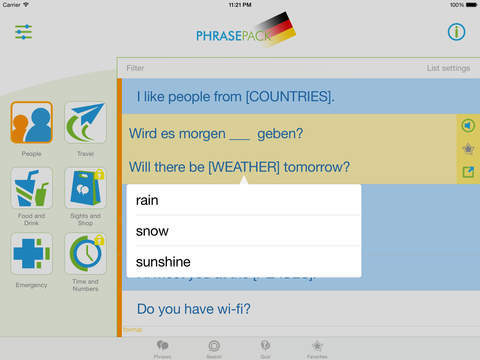 PhrasePack German has been designed to help you interact with the locals. + FREE Version already contains than 1800 phrases! You need a plane ticket to Berlin? 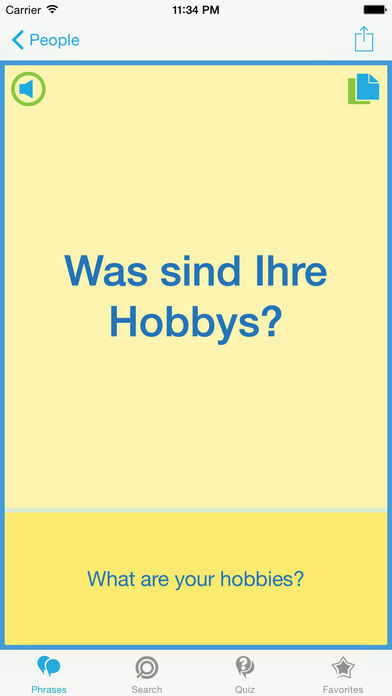 Try PhrasePack's German Language Quiz and learn some essential phrases in a fun way!